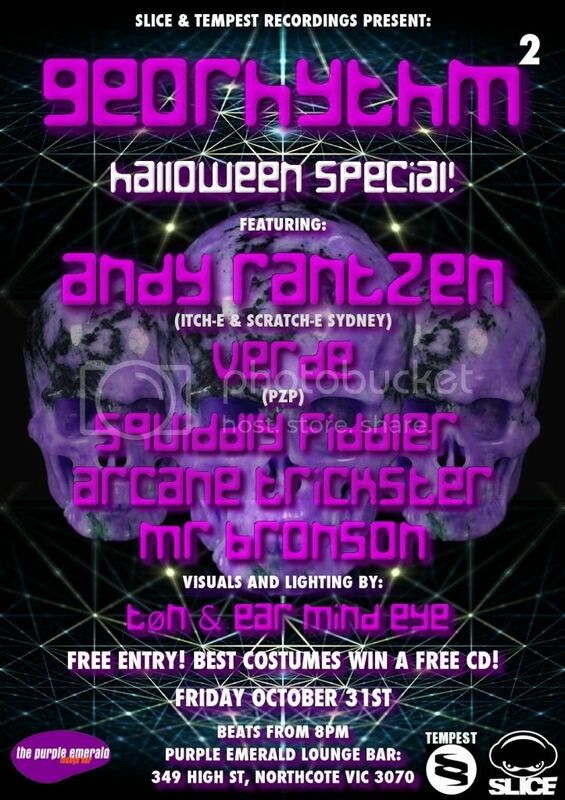 Halloween special at The Purple Emerald, 349 Hight St Northcote.. It's on 31st October, of course, and entry is free. Speaking of our buddies, Slice, they will be launching their brand new label, Slice Records. Set to join Tempest Recordings as part of the CUT Music Label Group. Slice kick it off with their first release, Metaphoenix, available now through Slice's Bandcamp, and soon to be released everywhere. This Saturday, French Fest gets underway with an old fashioned Warehouse Party! 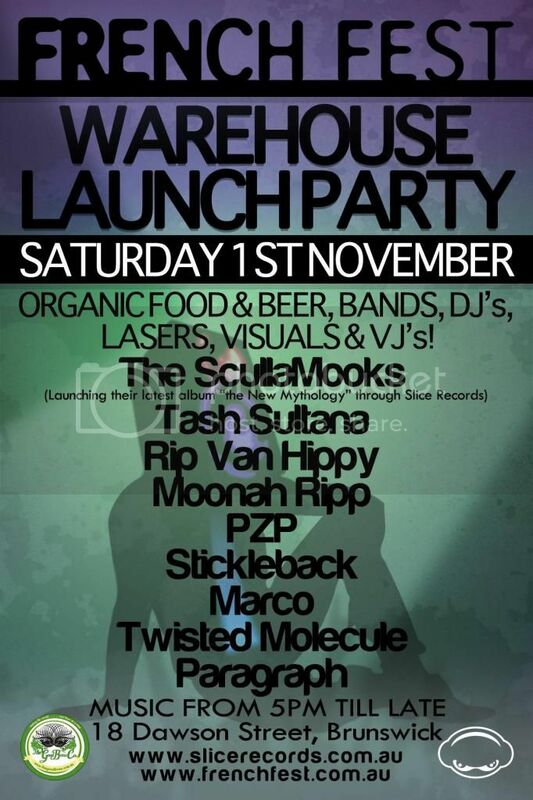 Featuring Tempest own Stickleback and Rip Van Hippy, with many more... co-presented by Slice Records & Events.